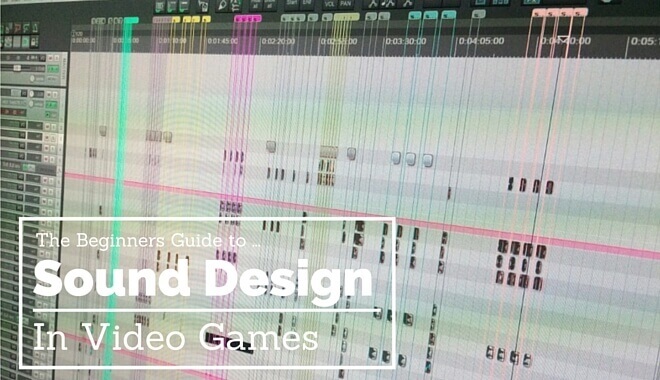 What is Video Game Sound Design? Video game sound design is the art of creating and adding audio elements to a video game. This involves creating entire libraries of custom sound effects to give the game a sense of realism and uniqueness. The sound effects must then be implemented properly to the images that will be seen by the player. Anyone who has had a game’s audio not working properly, such as a silent explosion or dialogue, knows how important sound effects are. Even the earliest video games used what little technical resources they had to add sounds and make the game more attractive. Pong, for example, had simple beeping sounds when the ball hit the paddles. Even though the creators couldn’t make sounds of a crowd booing and hissing, the different tones used in the original helped make it a more fun experience. A sound designer is the person who generates and manipulates audio elements for the game. Without someone to actually create the music and sound effects for a game, everyone would have to use the same existing sounds. Unlike the previous industries we mentioned, games are interactive and thus do not have fixed sound and music. This means that the sound designer must create several layers of audio that matches the player’s choices and movement that each sound effect and music track is appropriate to what is taking place on-screen. Video game sound designers also often collaborate with composers to help create and edit music for the game. Since many composers are outsourced, it’s the sound designer’s responsibility to make sure they understand the vision of the game and what direction the music should go. Sound designers also have the task of testing the game during the late stages of development to catch any audio bugs or mistakes. Sound designers do almost all of their work on computers. Different computer programs and applications are needed to create, manipulate, and store sound effects for games. Today there are many different tools that sound designers can take advantage of. While most programs cost money to use, there are plenty of free tools out there. It only takes a few seconds of playing your favorite game on mute to realize how important sound is when it comes to creating a captivating experience. From basic sounds like a gun reloading to iconic jingles like when you solve a puzzle in any The Legend of Zelda game, sound effects are there to make the virtual characters, stories, and worlds we are playing come alive. Much like films and television shows, music is also very important in video games and is often one of the most beloved elements of our favorite titles. Long after we’ve set aside the games that made up our childhood, just hearing their soundtrack again years later can fill us with joy and nostalgia. Music is a very powerful tool when it comes to evoking emotion from players, whether it’s a playful Mario game, atmospheric horror title, or dramatic story moment. The first step all aspiring sound designers must take is deciding if game audio is really the job for them. Are you good at working with others in a team setting? You must be able to answer yes to these questions if you want to make a living as a sound designer for games, which is very challenging (but also rewarding) career. Today, the internet has tons of great resources, videos, and tutorials from which you can learn how to be a sound designer. However, most who get hired by the top game developers across the globe went to school to learn sound design and audio implementation. A good college program will also give you access to trained professors that can offer advice and provide valuable feedback. You’ll also get a chance to use a lot of industry-standard software while completing projects that you can then add to your portfolio and increase your chance of impressing a recruiter during the hiring process. In fact, studios differ when it comes to what stage in development they begin the music and sound production work. Some get started right away by explaining to the sound designer what the game will be and maybe showing some concept art or levels being made. Others are brought in when there’s already a playable build with art, which means they get a solid taste of the look and feel of the game before getting to work. During this time the sound designer might also work together with a composer to nail down the soundtrack of the game. If the game has voice-acting, it’s their job to make sure it fits well with the game and is implemented correctly. As audio elements are added to the game’s engine, the sound designer also tests to make sure they work as intended.